Although they are only in preliminary stages, CART.BiTE cells represent an indirect way to target EGFR. Human chimeric antigen receptor (CAR) T cells (CAR-T) expressing the epidermal growth factor receptor variant III (EGFRvIII) antigen can be engineered to also secrete bispecific T-cell engagers (BiTEs) against wild-type EGFR, according to researchers at the American Association for Cancer Research (AACR) Annual Meeting 2019. While CAR-T cell therapy involving T-cell expression of EGFRvIII, an antigen that is overexpressed in glioblastoma multiforme (GBM), represents a logical approach to the treatment of this disease, clinical studies of GBM treated with CAR-T EGFRvIII therapy have shown evidence of immune escape due, in part, to high levels of expression of wild-type EGFR. To to address this problem, EGFRvIII-targeted CAR-T cells were engineered to secrete bispecific T-cell engagers (BiTEs) against wild-type EGFR, a protein that is not expressed in normal brain tissue. Specifically, BiTE therapy involves the engineering of T cells to secrete a fusion protein involving linked fragments from 2 different antibodies, each of which targets either a tumor-associated antigen or a T-cell–specific molecule in order to physically bring a T cell to a tumor cell. In addition to demonstrating that CAR-T EGFRvIII cells could be successfully reengineered to secrete BiTEs that are specific to wild-type EGFR, studies performed in mice models of brain tumors, including tumors derived from glioma cell lines or patient-derived glioma neurosphere cultures, yielded extended survival and even prolonged remission in animals following infusion with EGFRvIII-targeted CAR-T cells that secrete wild-type EGFR-specific BiTEs. “These results demonstrate that CARs and BiTEs can be combined strategically to mitigate the impact of antigen heterogeneity in GBM, and also provide a unique T-cell–based delivery method for BiTEs to tumors in the brain,” the authors noted in conclusion. Choi BD, Yu X, Castano AP, et al. 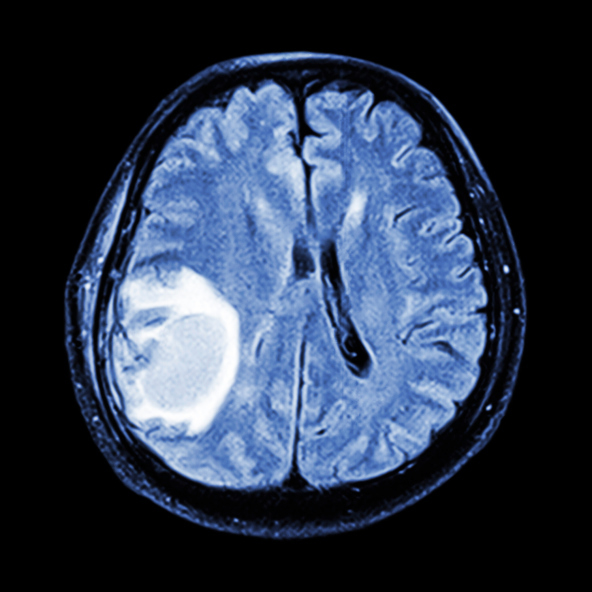 BiTE-armored CARs overcome antigen escape in EGFRvIII-targeted therapy for glioblastoma. Presented at: American Association for Cancer Research (AACR) Annual Meeting 2019; March 29-April 3, 2019; Atlanta, GA. Abstract LB-066/11.